A pair of real antiques made up this 1969 fantrip consist on the 6.2-mile-long Narragansett Pier Railroad. Plymouth 25-Tonner 35 was built in 1929 and the ex-B&M wooden coach dated to 1910. 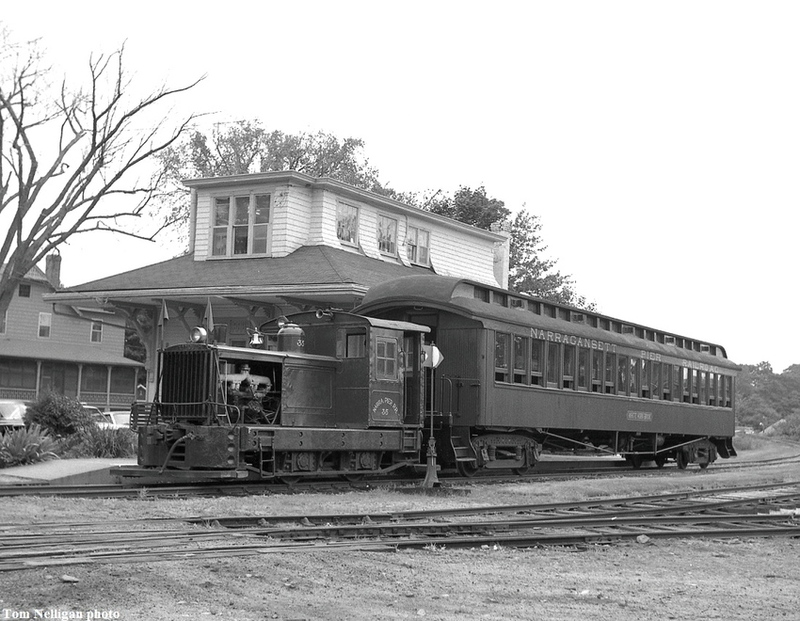 The little train posed in front of the NP's Peace Dale, RI, station and headquarters building.